I am a pie crust snob and being such, I'm alarmed at the first ingredient of 96% (that's an approximation) of pie recipes. 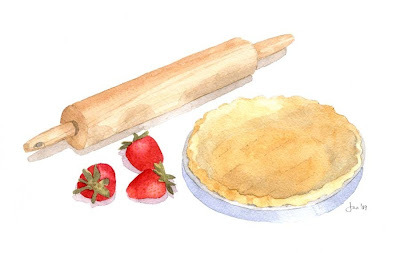 "1 refrigerated pie crust, softened as directed on box"
"2 frozen pie crusts, thawed"
With a pastry blender (a fork or your fingers will do but pastry blenders make it easier), mix the flour and shortening (or oil) until a crumby mixture is formed. Avoid large clumps of shortening or coconut oil. 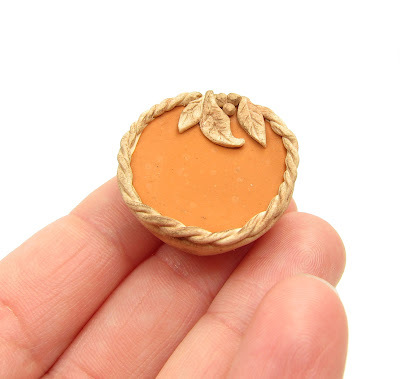 The largest crumbs should be no bigger than a pea. Pour the cold water evenly on the crumbs. With a fork (or your hand), mix the water and crumbs together until they form a ball. *If using coconut oil, use the crust immediately. If using shortening, it can be refrigerated for 3-5 days or frozen. As I've whined many times, I have many health issues and have a strict diet. Shortening doesn't agree with me so I tried the health product du jour, coconut oil. They have similar textures and it worked out perfectly! One night I made a chicken pot pie (drooool . . . one of my favorites) with coconut oil in the crust and didn't tell my hubby. He said he actually preferred the coconut oil version! The crust was much flakier. There is a drawback to using coconut oil. It's more finicky than shortening. DO NOT refrigerate pie crust dough made with coconut oil. It will fall to crumbs. So, you cannot make a coconut oil crust ahead of time. However, you can do a half shortening/half coconut oil crust and it is more forgiving. I have tried the crust three ways and they are all equally delicious. It just depends on what your schedule or diet allows. 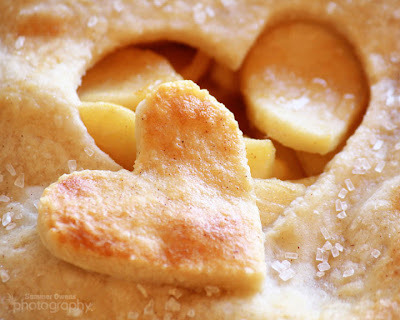 Skip the yucky processed pie crust and you and your family will truly taste a difference! You may not go back to freezer aisle crust again!